Optio offers debt collection services to clients in the healthcare industry with a solid foundation in financial services, cutting-edge technology, experience with healthcare consumers, and a distinguished history of addressing compliance and debtor confidentiality. 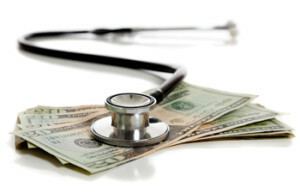 Optio is especially adept at medical collections where higher deductibles create greater balances, practices often procrastinate collection issues, and patients often misunderstand their contractual obligations. The collections process begins with Patient Financial Counselors who are trained in all legal requirements using advanced technology and compliance to address client needs. The agency extends a hand to patients at the earliest stage of their delinquency, helping to solve small problems before they fester into large ones. Applying a consumer-centric approach, Optio collectors receive the maximize recovery rates while maintaining a positive and professional relationship between clients and their consumers. Healthcare information privacy is ensured by complying with The Health Insurance Portability and Accountability Act of 1996 (HIPAA), a federal law that established rules about who can view and receive healthcare records.